The HTC U or U11 or the HTC Ocean is launching officially tomorrow i.e., on May 16th seems like someone has spilled the beans as today we have the hands-on review video of the phone as well as the full spec sheet. 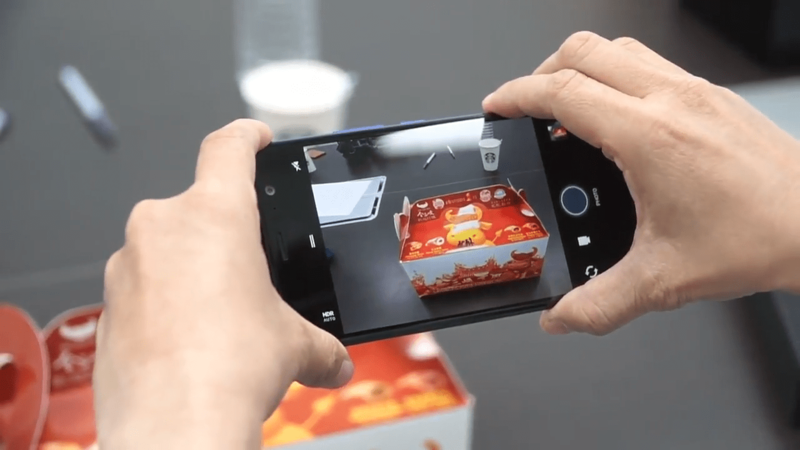 It happens most of the time as the companies send their upcoming smartphones to the Tech bloggers and YouTubers before the official launch and some time, the review video is uploaded before the actual launch of the handset. Same thing happened today as the hands-on review video of the HTC U11 is already up on YouTube, and it shows the phone from every single angle. Well, looking at the phone for the first time, I bet you all will say that it is a fingerprint magnet and indeed, it is. 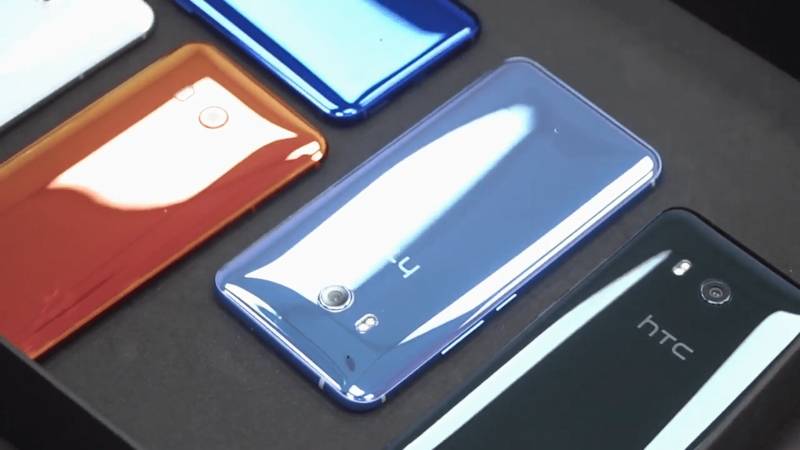 The HTC U11 has got the same shiny back as the U Ultra which will attract a lot of fingerprints so if you are going to buy this device; it’ll be better to get a case also. One of the most interesting features of the phone is going to be its touch-sensitive frame that will let you do various things by just sliding or pressing on the sides. 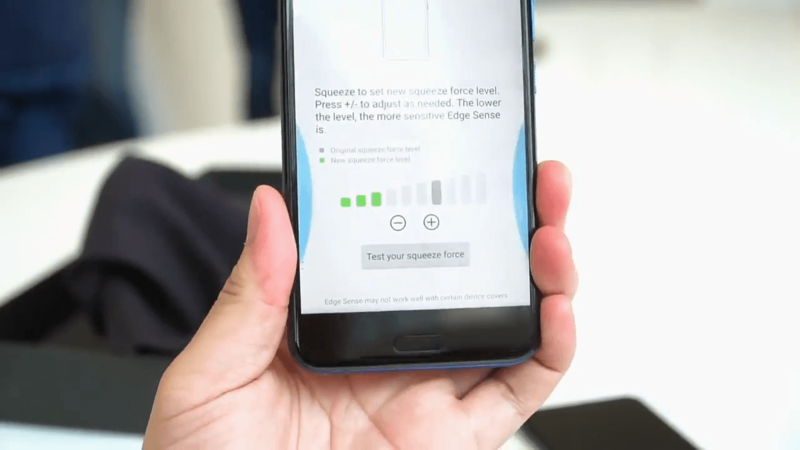 It will let you do things like taking the photos, opening the Google Assistant and much more. This is going to be a helpful feature of the device, and you will be able to customize the effect of the gestures as you like. The HTC U11 won’t feature any dual camera setup, but the camera is going to be great as the video shows. There is a 12MP rear camera with the Sony IMX362 Sensor, f/1.7 aperture and the dual tone LED Flash. On the front, the phone has a 16MP camera with f/2.0 aperture. The front camera can capture up to 4K videos whereas the front camera can capture 1080p videos. The phone runs on Typical HTC Sense UI with Android 7.1 Nougat OS. There is a 3,000mAh battery with Qualcomm Quick Charge 3.0 technology. Let’s talk about the specifications. 5.5-inch Quad-HD display with 534ppi pixel density and Gorilla Glass 5 protection. 12MP rear camera with Sony IMX362 Sensor and f/1.7 aperture. Up to 4K video via Rear camera while up to 1080p videos via Front Camera. Overall, it is a perfect flagship smartphone, but it seems the design isn’t that impressive as it looks like just another flagship smartphone. What are your views? What should be the price of HTC U11? Do let us know via the comments section.